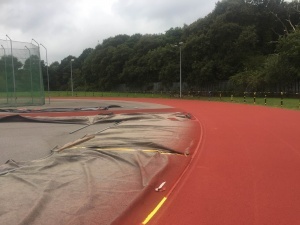 The athletic track at Ellesmere Port underwent 4 weeks for track resurfacing which included repairing 200 linear metres of cracks and a removing a large area of subsidence and repairing the tarmac below. This week, we are working on 2 tracks in Norway. The first is a 200m track near Drammen, Norway. White Line Services International Ltd is a leading sports marking specialist with a four decade track record of successfully providing services at the highest international levels of athletics, running and field sports. We offer a full range of services that goes far beyond the painting and maintenance of track markings. We work with stadiums, athletics clubs, schools and tracks to provide Olympic quality markings for indoor and outdoor venues. White Line Services have been in business since 1978, and in that time have acquired a thorough knowledge of the athletics business, and the needs of clubs of all sizes. We have been involved with some of the world’s leading sporting events, including track marking for the 2012 London Olympics. We have been involved with over 300 projects of different sizes in over 60 different countries. To view some of the work we have carried out across the world, look at our portfolio of projects. Our team are passionate about athletics, and our experience with sports facilities of all different sizes has taught us they all have one overriding concern in common: a commitment to sporting excellence and the welfare of their competitors and athletes. We are not merely concerned with getting the job done. Our number one concern is to lay down excellent track markings that allow you to do what you love doing best: to play great sport in a safe, competitive and fair environment. White Line Services International Ltd is a fairly unique business. 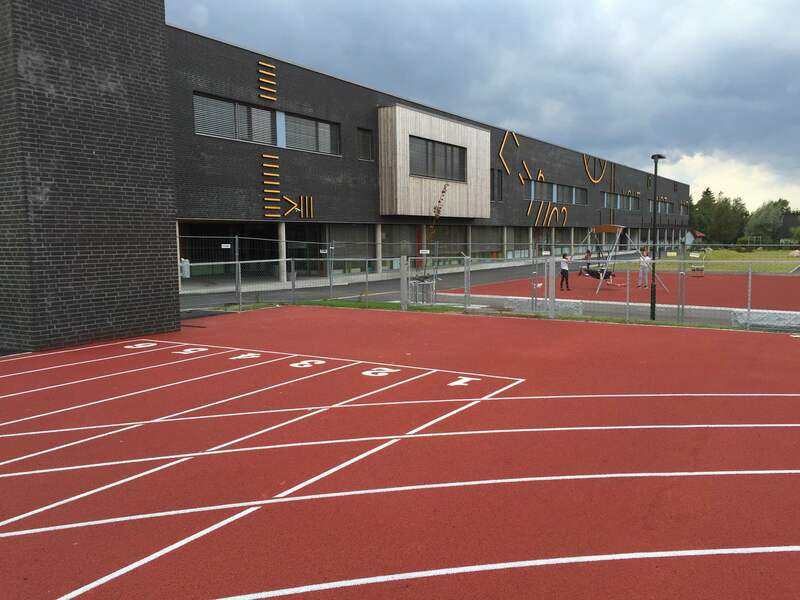 We are a specialist sports surface, running track and athletics track repair and surfacing company; one of only a couple of such businesses in the UK. We were set up in 1978 as a family run business and are still under the same ownership, now in the second generation of family management. Our most recognisable service is painting line and event markings onto tracks and sports surfaces, cleaning and maintaining sports surfaces, but there is much more to our business than this. We also install running tracks and sports courts, repair sports surfaces, offer a regular managed maintenance service and provide the finest white line cleaning service in the UK. We are the only British business that high-pressure cleans running tracks with a one lane width machine, meaning there are no streaks left once we finished. Over the past 37 years we have worked with some fantastic clients all over the world, and have been involved in some amazing projects. Take a browse through the links below to see some of our work portfolio – involving a huge variety of projects all over the world. Some of our highlights include painting the first track on Meadowbank International Stadium in Edinburgh in 1979, painting the main stadium for the 2005 Southeast Asian games in Manila, Philippines, and our work on the main London Olympic Stadium in 2012. This included painting the Olympic rings and London 2012 logo on the main track after the opening ceremony.